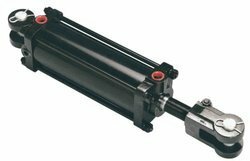 Our product range includes a wide range of hydraulic cylinder for construction equipment. By keeping track of the ongoing market development, we are engaged in offering a wide array of Hydraulic Cylinder for Construction Equipment to our valuable customers. Apart from this, the offered range of products is used for heavy duty material handling equipment in various industries. These products are tested on various parameters to ensure durability and flawlessness.